The latest issue of V-Jump has confirmed the next DLC character for Dragon Ball FighterZ will be Android 17, who made his return to the series in its latest incarnation, Dragon Ball Super. Android 17 will come to the game later in September 2018., Just like the other DLC characters, will cost $4.99. Dragon Ball FighterZ will also be updated with a new stage called the “Space Arena” around the same time Android 17 hits. Halloween-themed lobby characters and stamps will also be added in the form of seasonal Z Capsules, which will be in the game until sometime in late November 2018. 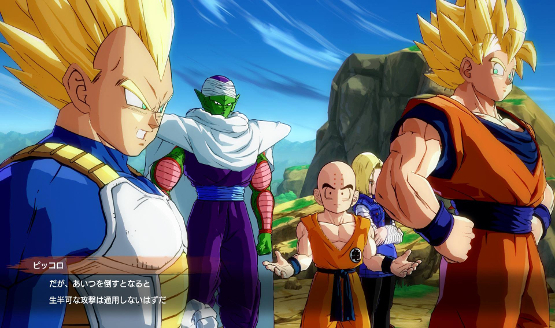 Fans who have been following Dragon Ball FighterZ closely will remember that all the DLC characters so far were revealed when the first batch contained files discovered by dataminers. Once Android 17 drops, he will be the final character in that list.